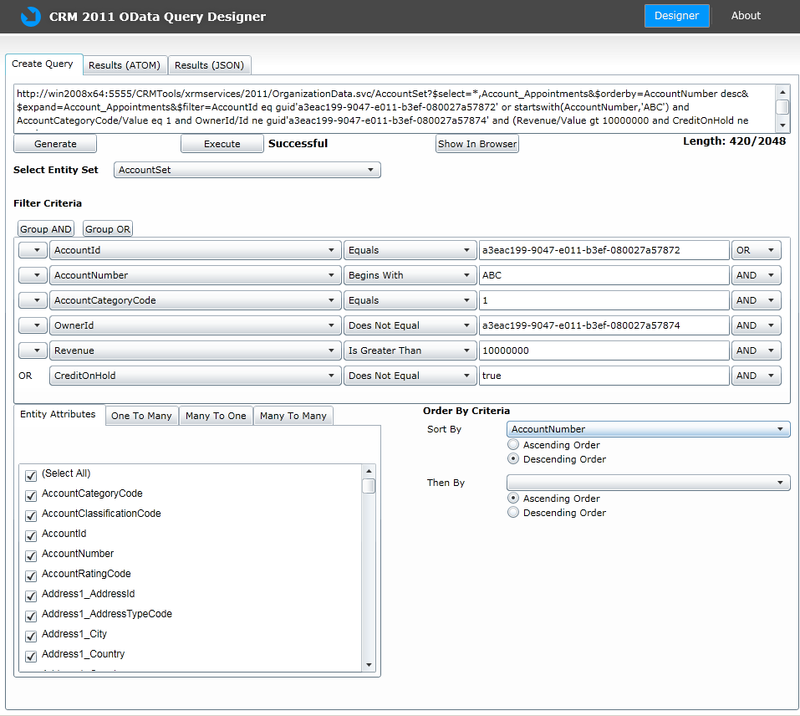 Published March 6, 2011 at 957 × 856 in CRM 2011 OData Query Designer. Cheers, thanks Mitch. Still have a list of additional functionality I want to implement but it’s a good start.